MindMe Mobile Is Selected As National Text-To-Register Vendor for Bison Thunder Motorcycle's $30,000 Indian Springfield 1st Annual “The Big Give” Holiday 2016 Gala Event. Text the word "bison" to the number "26786" or Click Here http://tinymm.com/Gp8g3 to Enter "The Big Give". MindMe Mobile is providing this mobile entry page and validation for Bison Thunder Motorcycle throughout "The Big Give" Fall 2016 campaign sequence, where we welcome World Wide Registrations. On December 10th, Bison Thunder Motorcycle, of St Michael, Minnesota, one of the leading Indian Motorcycle retail and customization dealers in the US, will give-away a custom-designed, 2016 Indian Springfield motorcycle valued at $30,000, while at the same time raising awareness for Special Olympics of MN. Bison Thunder Motorcycle will welcome as many as 700, randomly-selected, semi finalists to a gala event at the dealership in St. Michael, MN Saturday December 10th, 2016 catered by event co-sponsor Cowboy Jacks Restaurants. One of 700 individuals will be selected to win the motorcycle from the thousands who register for free to participate in the 1st inaugural Big Give, which was conceived to raise awareness for Special Olympics of Minnesota. The first prize is a 2016 Indian Springfield motorcycle, has been customized using Bison's multi-stage "EXPERIENCE IT" process that features the brand colors, logos and motifs from Cowboy Jacks, Special Olympics of MN and Bison Thunder Motorcycle brand standards woven into the custom paint work, leather, steel and chrome accessories that have been hand-built into the motorcycle's exterior. "We asked ourselves, what could we do to illustrate our desire to not only create a new destination dealership that does business differently, but to show the motorcycle world that we give more than we receive to our clients, customers and employees", said Doug Kauth Bison Thunder's Co-Founder. “This bike is not only a-one-of-a-kind vehicle; it is an illustration of what we will do for a discerning client who wants their motorcycle's to tell a story about them the rider as well as the manufacturer they purchased the motorcycle. The bike is an example of our soon-to-be launched consumer-facing, EXPERIENCE IT process where an established as well as new riders alike can transform themselves into a completely custom-outfitted, custom-motorcycle owning rider all under one roof,” said Kauth. “Giving-back to the Minneapolis St Paul Motorcycle and Business Communities who have welcomed us and made us one of the leading Indian Motorcycle dealers in the country since our opening in March 2016, is at the core of this charitable campaign”, said Maurice Gavin, Bison’s Marketing Lead. “We are excited to share this opportunity with our major sponsor partners including, but not limited to, The AfterMidnight Group’s Cowboy Jacks, Special Olympics of MN , Red Bull, Budweiser, Media Partner K102 and MindMe Mobile,” Gavin continued. 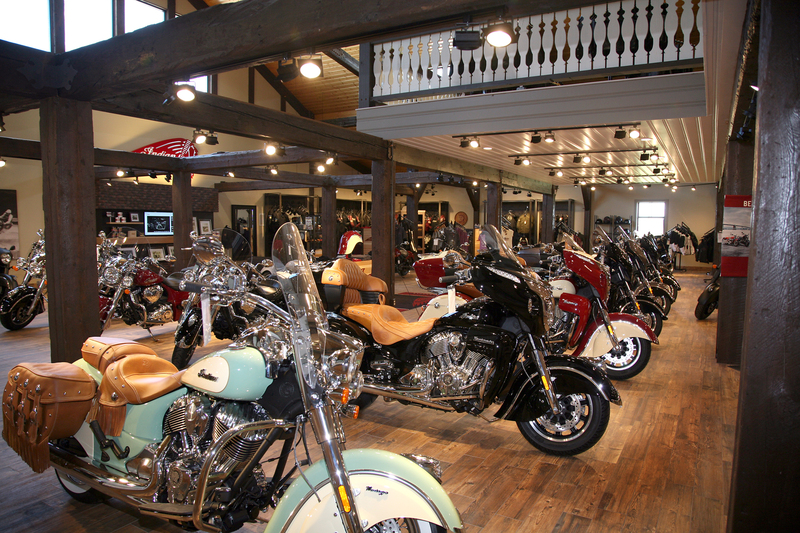 Bison Thunder Motorcycle is a true and unique destination Indian and Victory Motorcycle dealership. 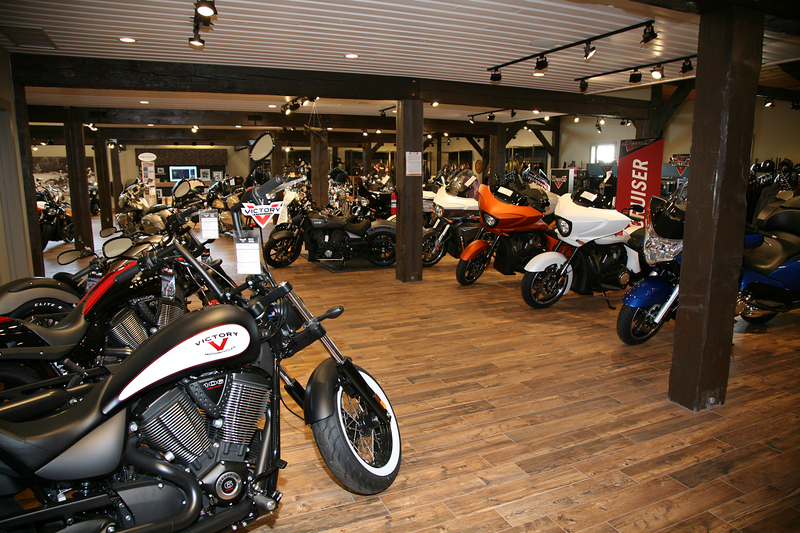 Bison Thunder redefines the expectation of a motorcycle dealership by offering a full line of Indian and Victory Motorcycles products, a multi-line certified service department, OEM & aftermarket parts/accessories department, trike conversions, bike customizations and high performance capabilities. 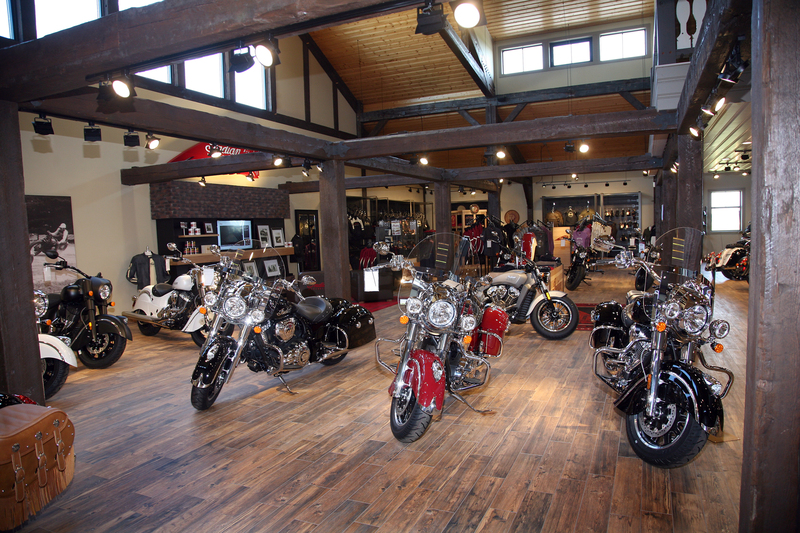 Bison Thunder also boasts one of the largest apparel offerings in the region and a seamstress on staff to take care of the apparel needs of all riders, including Harley Davidson riders.